About Us – Task Management, Inc. | We Get IT Right! Established in 1990, Task Management has continuously built strong relationships with both clients and candidates. We offer customized services that include contractual project staffing, full-time placement, and cost-effective payroll processing. Task Management, Inc. provides clients with a full range of staff recruiting and placement services. Positions range from Help Desk Support to CIO. Our unique approach to recruiting in the Information Services environment is successfully accomplished by giving attention to detail. Presenting pre-qualified candidates that match job requirements with high quality technical and non-technical profiles. Our strategy is to attract individuals with the capacity for success. Our sourcing, recruiting, screening and referencing runs deep. We consider it our job to protect our clients’ interest. Saving client/staff time in the hiring process — Managers and Technical staff. Helping promote the client’s organization and opportunities to candidates. 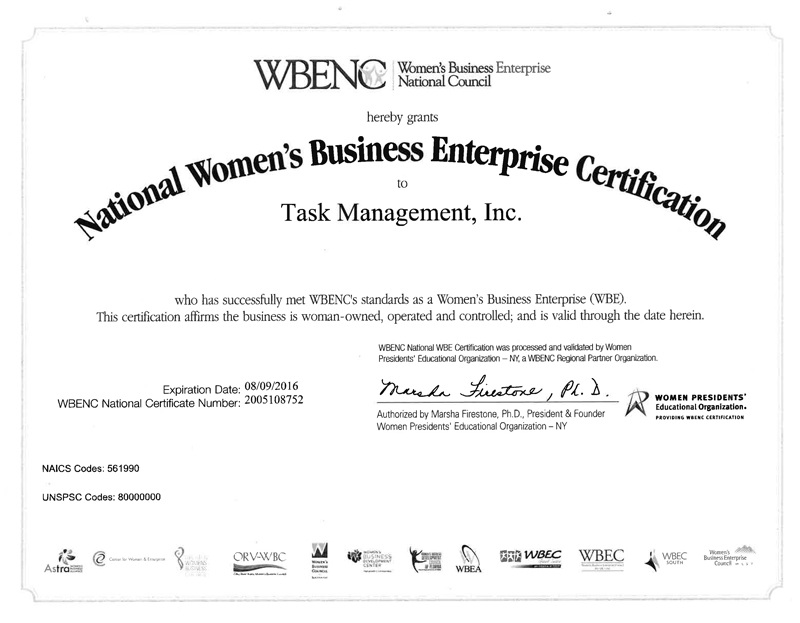 Our pre-qualification results in clients hiring a high percentage of candidates presented by Task Management, Inc. Coordinate with client Human Resource departments and augment Human Resource staffing capabilities. Task Management consistently met our needs and their resources often exceeded expectations. The personal attention of their dedicated staff really makes the difference. I feel confident in saying that we will continue to use Task Management as our staffing partner. I have been to Connecticut 4-times and have and met with all of the large recruiting firms. In all of those discussions none of the recruiting firms have gone through as thorough of a discussion as we had and none of the firms have shared an approach like you did.